Thank you for considering a donation to the Sudbury Rainbow Crime Stoppers program. We need your donations for continued success with this valuable community based program. Your donation, no matter how big or small, is greatly appreciated. With your help, we can provide rewards to the anonymous "Tipsters" who assist in reducing and resolving crime in our community. Together, we can make our community a safer place to live, learn, work and play. 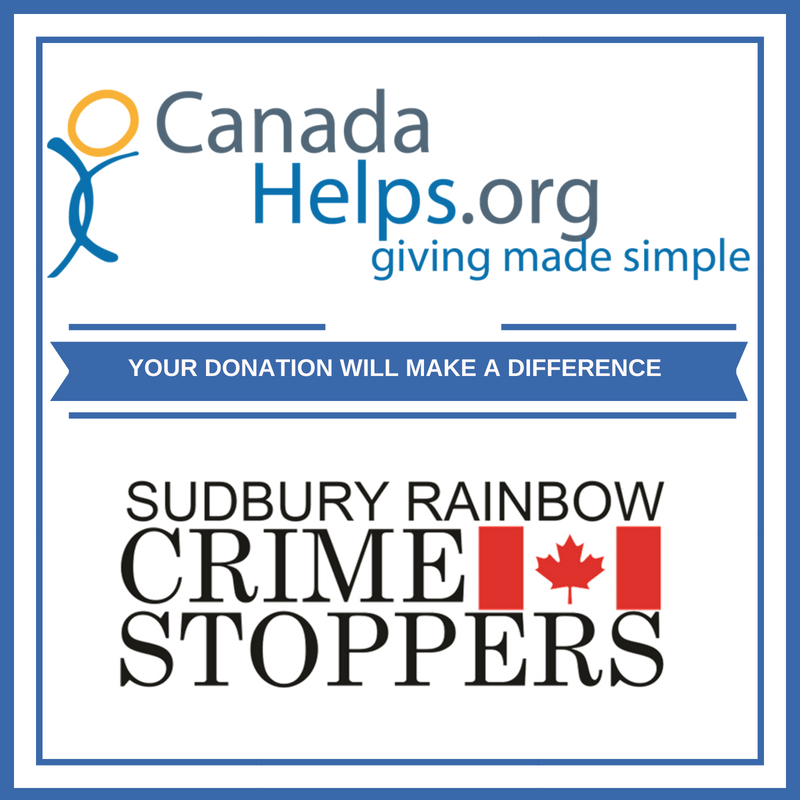 Sudbury Rainbow Crime Stoppers is a non-profit, charitable organization that relies on donations from private citizens, organizations, local businesses, and fundraising activities. Rewards paid by Crime Stoppers are not financed by tax dollars or any Government funding. All money required to support the program must be raised through individual donations and corporate support, fundraising events, and qualifying grants. If not for the efforts of the Crime Stoppers program and our reward incentives, many crimes would go unsolved! Our team would love to be considered the Charity of Choice and join you at one of your events. Golf Tournament - have our team hold a 50/50 or activity on a hole. We are always looking for businesses and organizations who want to make our community safer by supporting Crime Stoppers as a Sponsor at our fundraising events. Blue Jeans Country Ball: This is a true country event featuring a delicious country buffet with all the fixings, mechanical bull and live country music by local artists (usually held in the Spring). Night Golf: What is more fun than playing golf in the dark? Enjoy a great meal and then head out for 9 holes of Glow in the Dark Golf (usually held in the Fall). Please become a supporter today!!! Let us know what type of supporter you want to become, and we will get back to you with all the details on how to proceed.